Set between the national parks of the Yorkshire Dales and Lake District, and the AONBs of Bowland, and Arnside and Silverdale, the 50 miles of the River Lune and its many tributaries take in some excellent walking country. 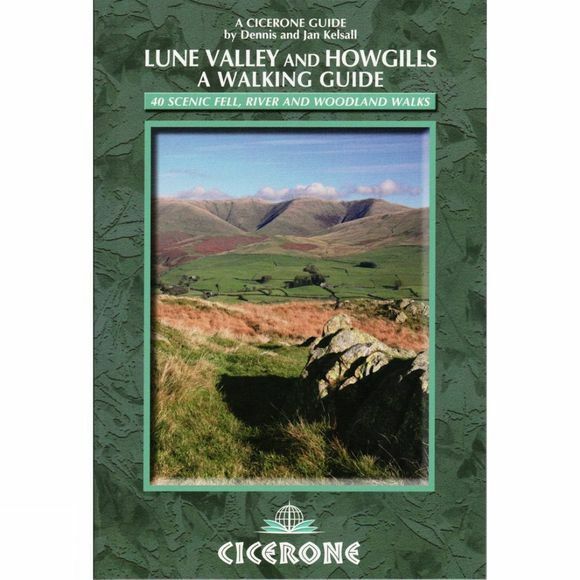 This guide offers a wide range of walks from the source of the river in the Howgill Fells to Glasson Dock, just below Lancaster, all along the Lune Valley, as well as a comfortable itinerary for walking the length of the river in 6 days. There are magnificent views from the empty hilltops, delightful natural woodlands full of wildlife, stunning secluded side valleys and open moorland vistas to be explored in Yorkshire, Cumbria and Lancashire. And the walks are equally superb at any time of the year.